Kepp it together. That is all you need to make sure all of your makeup brushes are in shape. Washing too frequently and leave it hanging around with no protection can cause your brush hair to damage and loose its shape. So the solution? Brush Guard! This brush guard was the "it" thing when YouTube start to have all the Beauty Gurus. Michelle Phan loves it and many other too. I am a bit late and I just got the change to try it this year. Thank you Mesmerize for providing me with these awesome product! These brush guard comes in 3 different pack. 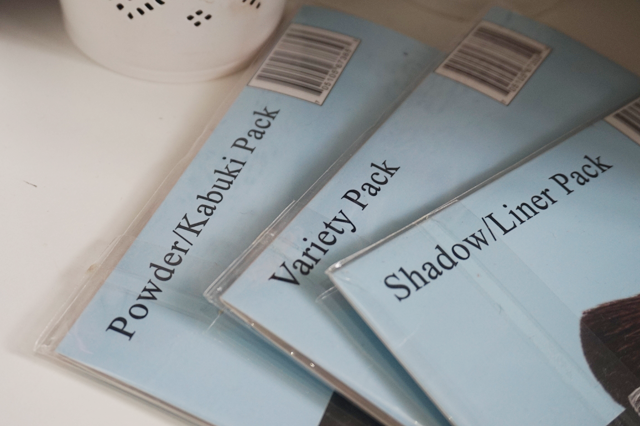 Powder/Kabuki Pack, consist of 4 Large guards, Shadow/Liner Pack consist 10 of the extra small guards and the Variety Pack comes in 1x Large, 2 medium, 2 small and 1 extra small. 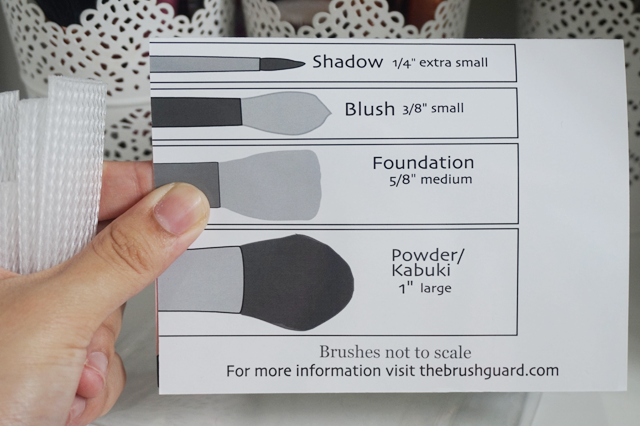 I really love the medium size one because I have a lot of medium brush size that need total protection. 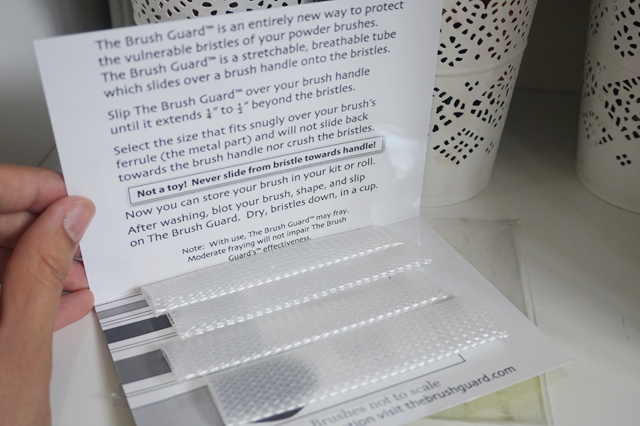 These brush guard are reusable and easy to use. All you need to do is slide these brush guards from the bottom part of the brushes and slide it up. Some real technique brush cannot fit these brush guard because of its wide bottom. So take not on that. 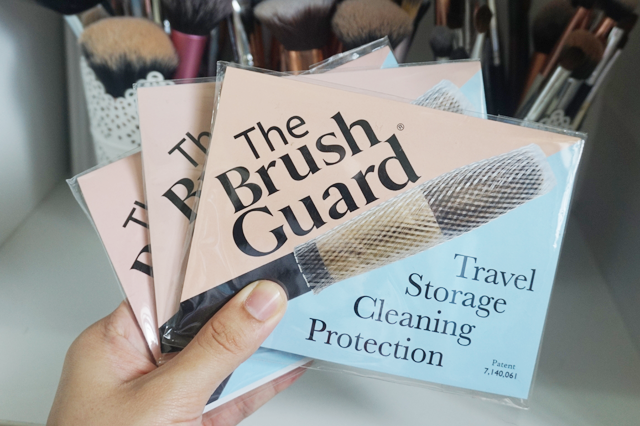 You can use it to protect your brush while travelling because you will be bringing this in a bag and you might damage it when you walk around. Another great thing is that you can use it to air dry your makeup brushes after cleaning it. The brush guard is pretty sturdy and easy to hold it up. So any water could not get through the glue in the ferrule that will damage your brushes. 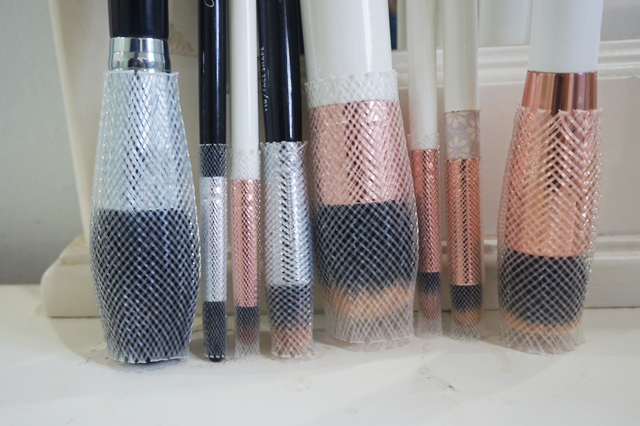 The hole on the brush guard can help to naturally dry you makeup brushes. This is a really good product if you love your makeup brushes! I really recommend these brush guard. I wish they have in medium & small pack because that is the most use one. The large one are sometimes to big for my medium brushes.The only thing is that you need to prepare like a container or something to store these. They can easily misplace. Each pack cost RM30.00 and you can get it at Mesmerize. 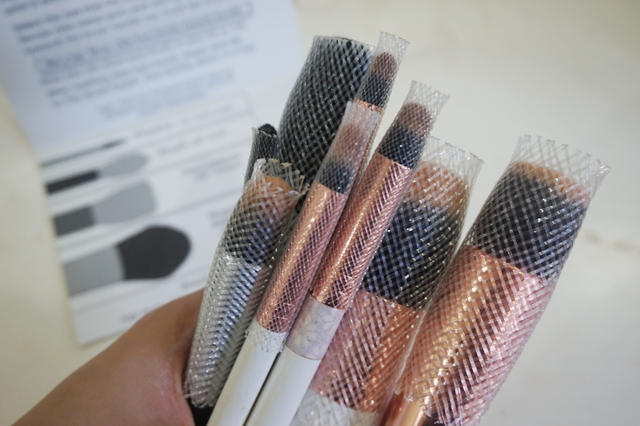 Where did you get the rose gold & white brushes from? *---* I already have more than enough brushes, but I want it! your welcome! <3 glad it helped! Oh yes. Ada 2 set dulu. Still guna juga. Love it to da max! aah, check out mesmerize, they have lots of brand yg xde kat malaysia.